Wynn: All the problems we're hearing about tonight, the unemployment, the drugs, the street crimes, those will always be the highest when they people have the least education. So you'll can pay now or you can pay later. I mean if you have a brain tumor you wouldn't shop around for the cheapest surgeon you'll look for the best and that's what we're voting on tonight: the best for our children. Or do we sell out their futures for few tax cuts? Thank you. In this movie, ambition overreaches result, and the usually clear-sighted John Sayles flounders. There are moments of brilliance, as when the camera turns sharply to pick up new threads in the sprawling interweave of city intrigue that composes the central theme. But the sprawl ultimately proves too unwieldy for even Sayles' considerable talent. I only wish he had succeeded. The backdoor machinery of city politics needs sensitive treatment of the kind Sayles can deliver. But the script falters and the characters seldom rise above uninteresting stereotype. If its true that too many cooks spoil the soup, it's also true that too many soups spoil the cook, no matter how versatile the latter. 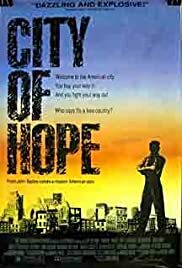 Here, director-producer-writer-actor Sayles simply raises more urban issues than he deals with effectively: police corruption, brutality, racism, homophobia, kick-backs, drugs, influence peddling, organized crime, with a symbolic love story thrown in - in short, the whole 9 yards that keeps cities operating. Unfortunately, the end result is a force field that pulls apart rather than brings together, making the whole effort appear pointless. Too bad, because such unconventional scope requires unconventional methods of the type Sayles attempts. But I'm not sure it's possible to force such a life-sized tapestry into an ordinary two-hour time frame. 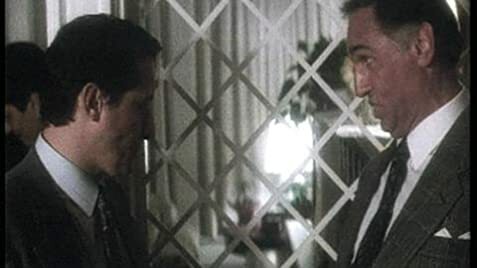 Perhaps something on the order of a Godfather trilogy with a central focus on the Nicky character would accommodate the filmmaker's expansive vision. Trouble is, political mavericks and independents like Sayles seldom get the financing necessary for following through. Looks like he may be consigned to work the fringes in the brilliant and committed fashion of Matewan and Eight Men Out, for which there is nevertheless always an audience.